As Women rise to meet the world in a new way, remembering our Dignity, Divinity, and Grace is critical as we remember we are our own leaders and masters of our destiny. Dignity, Divinity, and Grace define the direction in which Women carry the world and humanity. Womb-man is the giver of life and primal first force. We must remember our power and heal our past. Gathering with Women to share time in celebration, remembrance, inspiration, and clearing will be life-changing. Join Gurmukh and Wah for the Radiant Power of Women ~ Rising in Grace. Whether you are a seasoned yogi or new to Kundalini Yoga, this Gathering of Women will heal, uplift, and connect us to our power and purpose. With Yogi Bhajan’s Teachings of Kundalini Yoga and Meditation for Women, we will dive deeply into an immersed space for three days, sharing tools to enhance your daily life, spirit, joy, and empowerment. This is the time for Transformation. 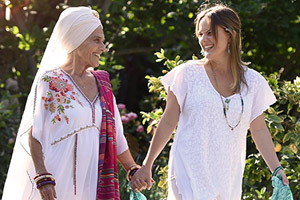 Gurmukh and Wah are a mother daughter duo sharing the teachings of Kundalini Yoga as thought by Yogi Bhajan. Our time spent together will be charged with Kundalini Yoga, Dance, Ceremony, Meditation and Soul Sister Connection.